Amazon unveiled the clock-sized Echo Spot last year, as a smaller alternative to the Echo Show. We haven't seen any similarly-sized devices running Google's smart display platform, but Lenovo just unveiled something similar — the Smart Clock. The Smart Clock is a tiny smart display, with a 4-inch IPS screen and a 6W speaker. The unit is wrapped in a Google Home-like gray fabric, and functions as a Google Assistant speaker. 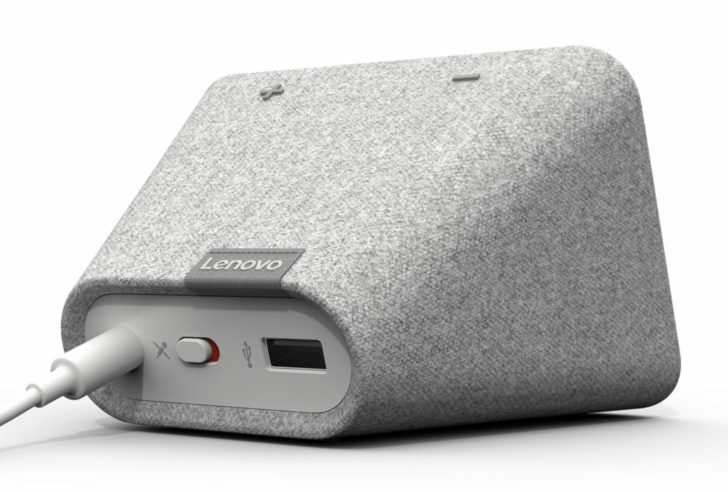 Lenovo told 9to5Google that the clock uses a custom software platform based on Android Things, making it the third separate Assistant smart display platform — after the Chromecast-based OS on the Google Home Hub and the Android Things version used by all other third-party displays. Good job, Google. The backside of the clock has a microphone mute switch and a USB Type-A port (for charging your phone). Multiple clock faces are available, and it should go on sale this spring for $79.99.